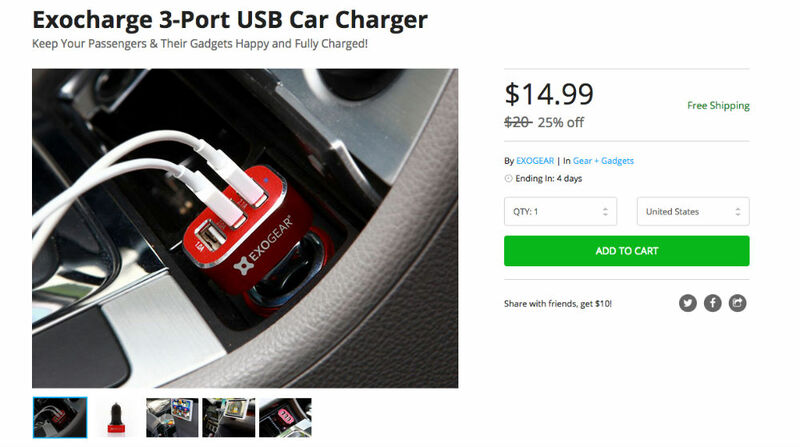 In need of stepping up your in-vehicle device charging game? Thanks to the Exocharge 3-Port USB Charger, available on the DL Deals Store for just $15 with free shipping, you can charge up to three devices simultaneously. According to the product’s description, this 3-port USB charger deploys “rapid charge” technology for ultra fast power. While we doubt it is anything like QuickCharge 2.0 from Qualcomm, you can probably rest assured knowing your devices will charge in a timely manner using this charger. This deal ends in four days, so if you would like to take advantage, have at it.